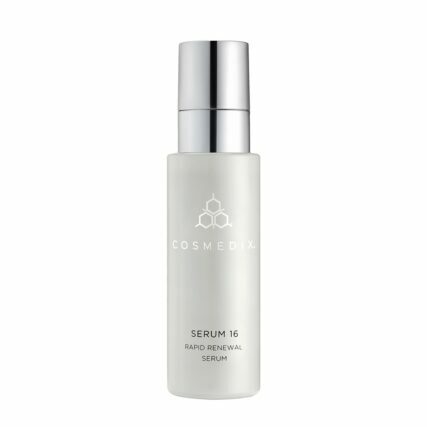 A very effective Vitamin serum and therefore anti-ageing, CosMedix Serum 16 is formulated with LG-Retinex, which is an encapsulation of retinol and retinaldehyde, both forms of Vitamin A. 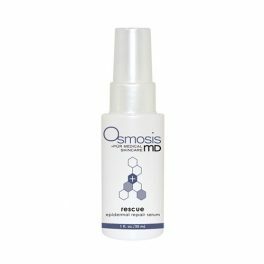 A very effective vitamin serum and therefore anti-ageing, CosMedix Serum 16 is formulated with LG-Retinex, which is an encapsulation of retinol and retinaldehyde, both forms of Vitamin A. These ingredients are at the forefront of the anti-ageing skincare movement and this Vitamin A product is the perfect place to start on your Vitamin A experience. Those who use CosMedix Serum 16 regularly notice the following changes in their skin. 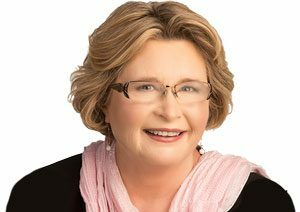 Lines and wrinkles begin to soften and skin become smoother. The skin becomes more balanced with improved blood flow, resulting in fewer instances of inflammatory responses such as general redness, rosacea and hormonal breakouts. The skin tone becomes more even, with a bright, healthy glow. 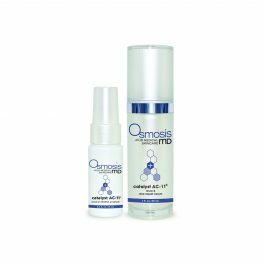 Improved hydration though the retinol and retinaldehyde exfoliate, they also promote the cell walls to heal which means better water retention overall. Skin feels and looks firmer and plumper. The proprietary GAG-enhanced encapsulation of the retinol and retinaldehyde reduces the irritation levels that come with traditional retinol products. This means you can use the product and enjoy its benefits without dealing with skin sensitivity, inflammation, and redness. With all of the benefits of CosMedix Serum 16, it’s easy to see why this is one of our top-selling anti-ageing products. After using this product regularly, you will notice smoother skin and fewer lines. Plus, you’ll get that healthy glow that we all desire! Apply a pea sized amount to clean damp skin. Follow with your moisturiser. Use every 1-3 nights, working up to every evening. Do not apply to eyelids. We always recommend applying sunscreen during the day to protect skin against sunburn and premature ageing.